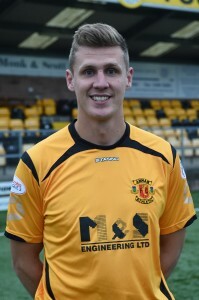 Annan Athletic FC > Club > News Hub > AAFC News > Watson Stays at Galabank. Annan fans will be delighted to hear that well known defender Peter Watson has penned another deal with the Black and Golds, taking him into his 10th season at Galabank. Peter needs no introduction to the Galabank faithful, the only player left from our introduction to the SPFL and has played every season in the Annan shirt, making him our record appearance holder with over 280 appearances. The strong centre back will be keen to win over the new manager and cement a place at the heart of defence.